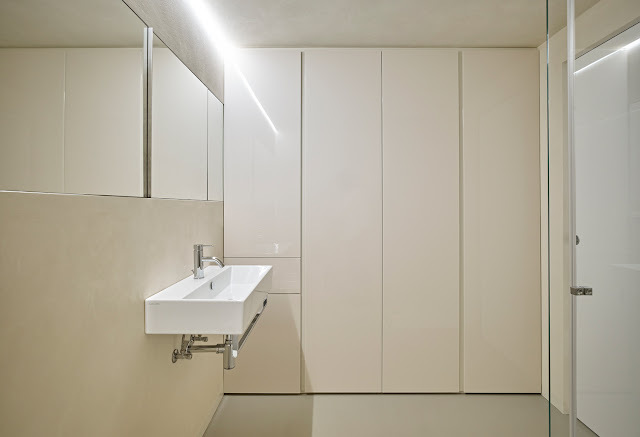 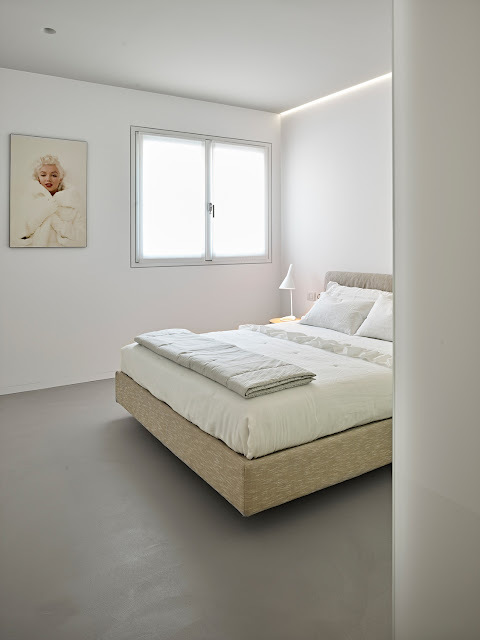 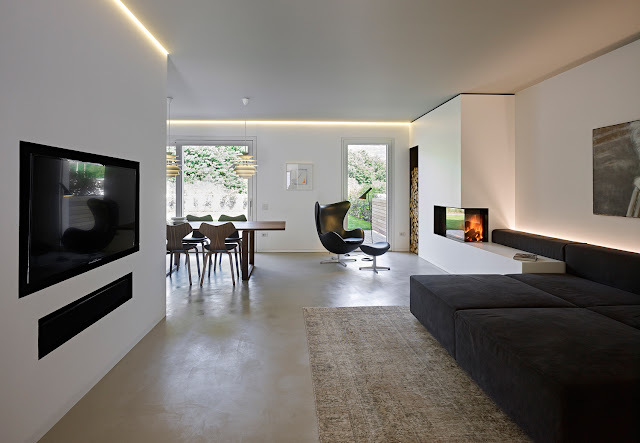 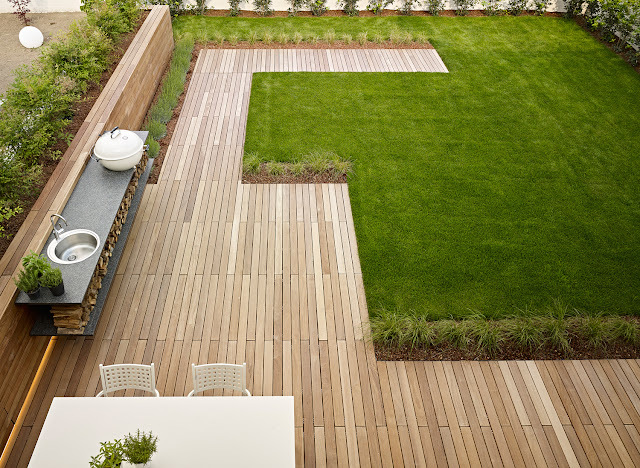 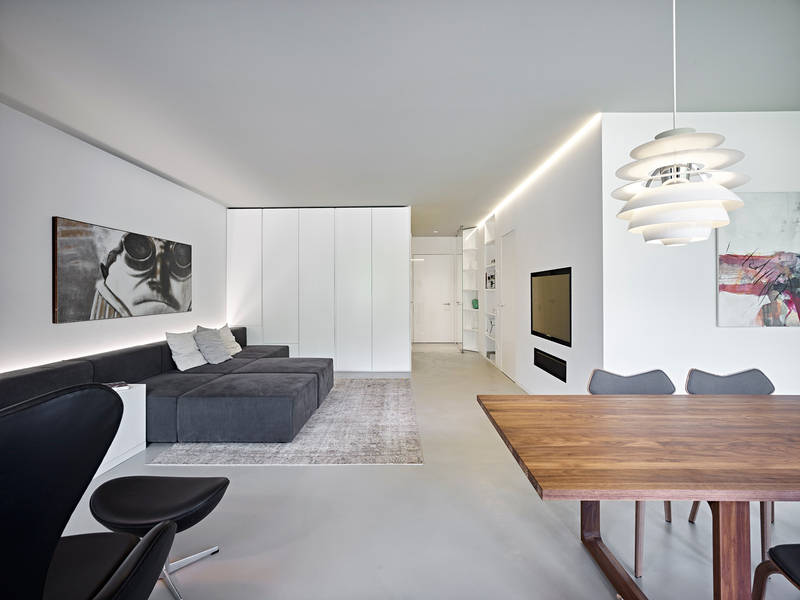 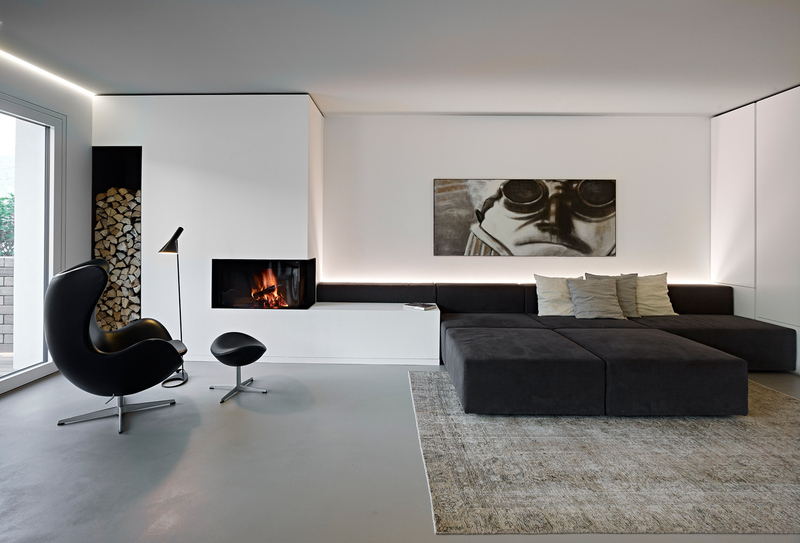 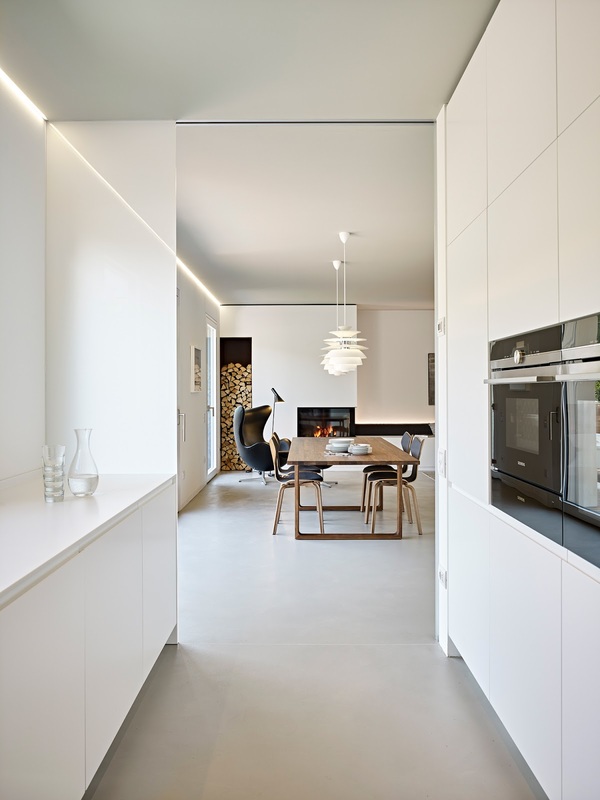 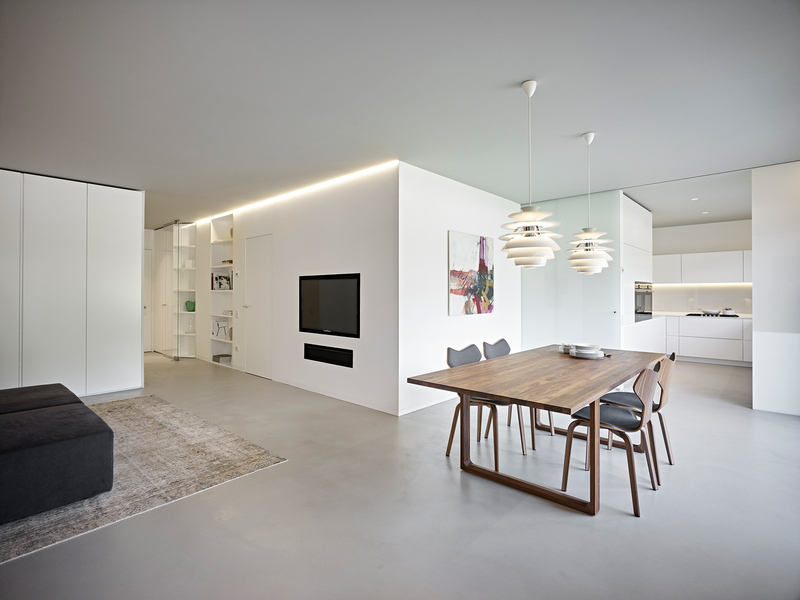 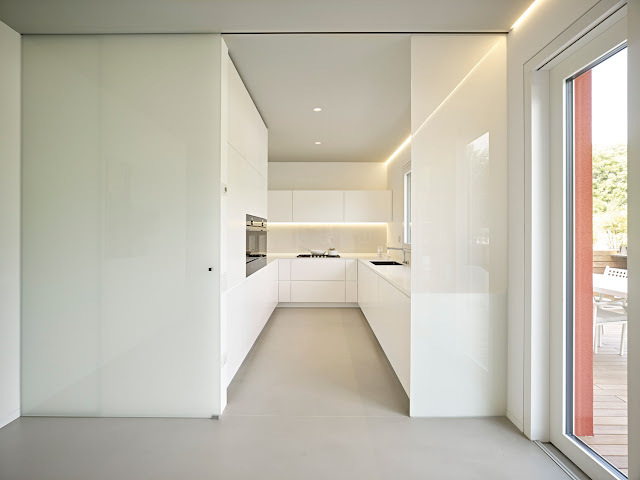 Burnazzi Feltrin Architects designed CW apartment in Trento, Italy, through a minimalist approach that creates an efficient and versatile space, flexible to different living needs of the family. 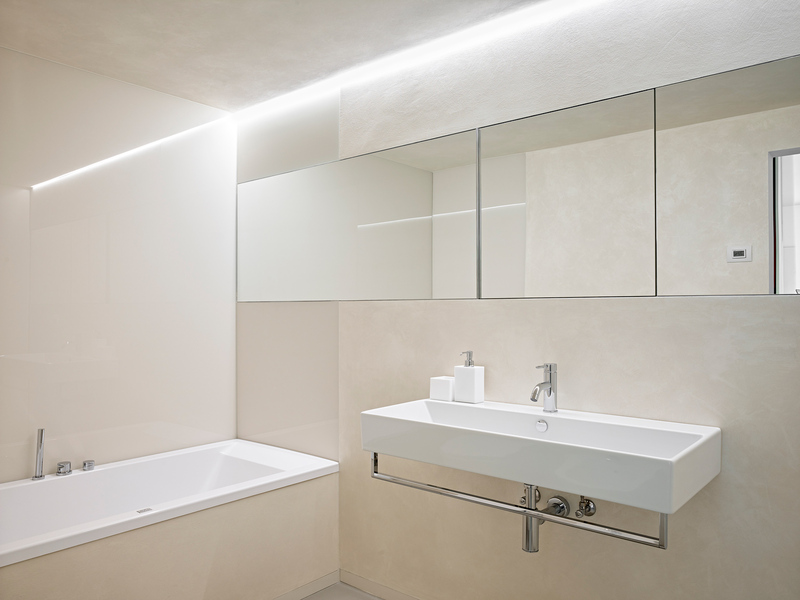 The lighting design revolves around the use of few LED track lighting fixtures, recessed from the line of the ceiling: they “wash” the walls whit light and create an evoking nonetheless “abstract” atmosphere. 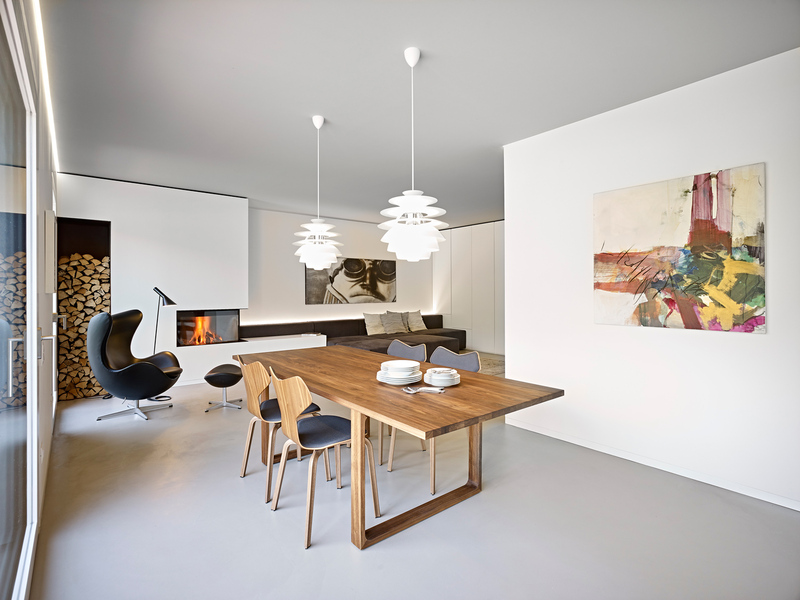 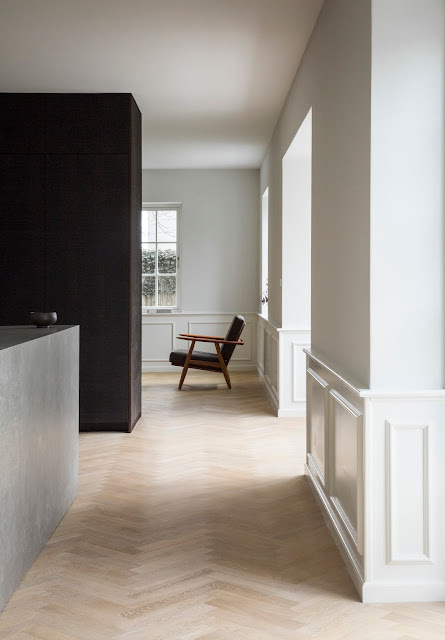 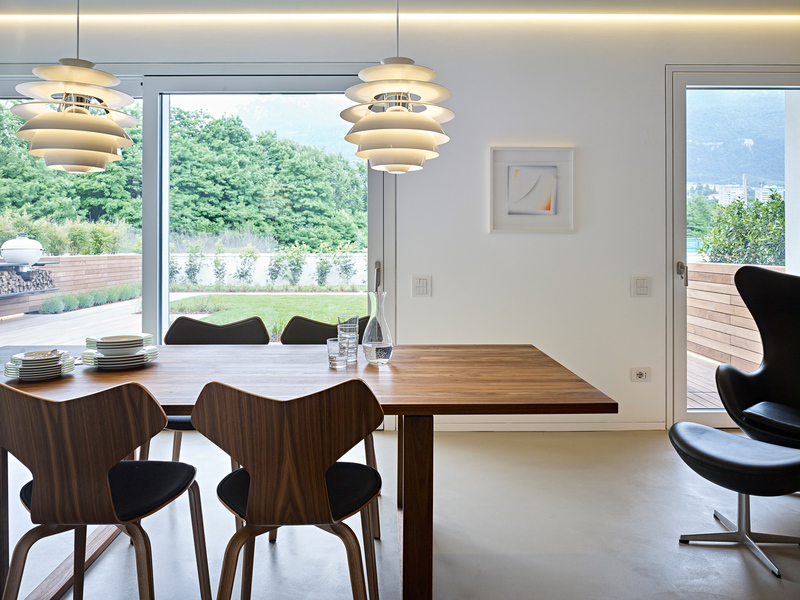 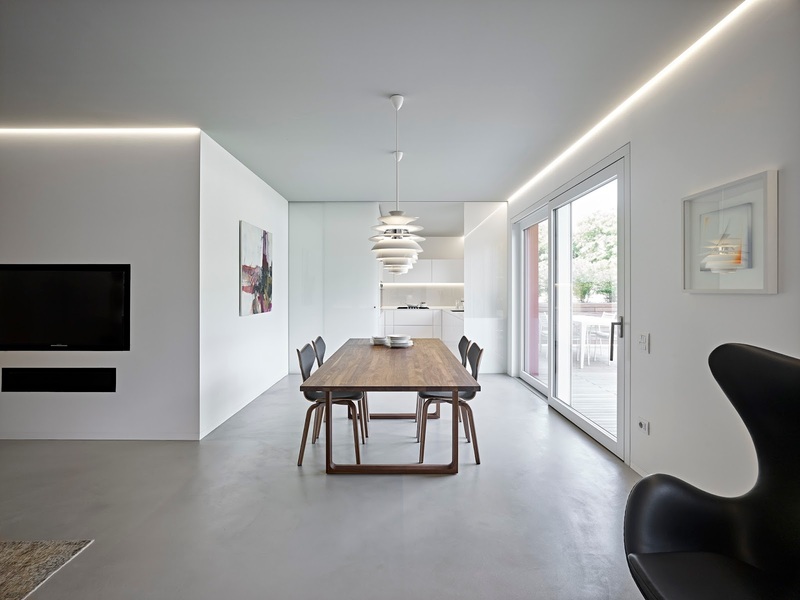 The only exception, on which the gaze is focused, is a pendant light suspended above the dining table, around which the family meets and shares time, good food and memories.